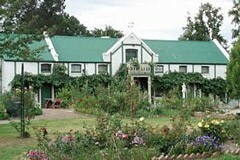 Built in 1857 and in original condition Garroorigang has a fascinating history reflecting its life as an Inn on the road to the goldfields, as a private boarding school for the "sons of gentlemen" and as the private residence of the Hume family, collateral descendants of Explorer Hamilton Hume. With original furnishings, historical records and family memorabilia, Garroorigang reflects 150 years of living Australian history. Family members provide guided tours through this unique homestead and gardens. Complete your details below and your enquiry will be emailed directly to Garroorigang Historic Home. Please check your contact details are correct to ensure the quickest possible reply.